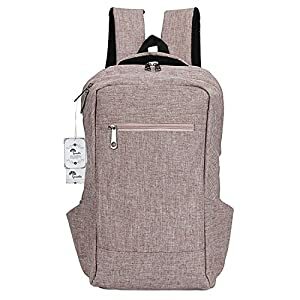 Anti-theft Lock:With a built in lock(you can set your own combination) at the main compartment,it’s safer for us to travel abroad,commuting,and for other purpose’s usage.Thieves are not so easy to get access to your valuables. 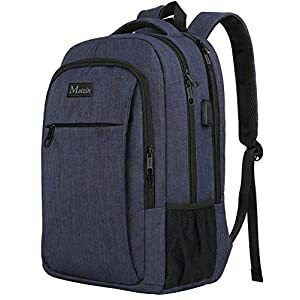 ★DURABLE & SIMPLE – External made with durable linen fabric and 210 nylon fabric internal,soft and comfortable.The back side comes with protective padded design,easy to carry throughout all day.This college backpack is a simple external color design without any patterns,very simple but fashion and you can choose the one you like. 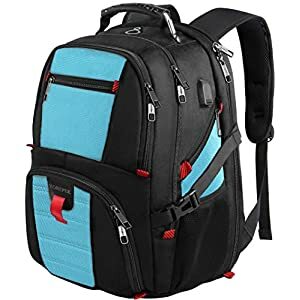 ★LARGE CAPACITY & DUAL COMPARTMENT – A super organized laptop backpack with quick-access & large front pockets(6.5″ X 8.75″) for your books,folders,ipad,phone,cords and cards.Dual compartment can carry more things as you want,front compartment to keep your phone,ipad and gadgets safe,large main compartment fits books,lunch,a light jacket and other carry-on essentials. 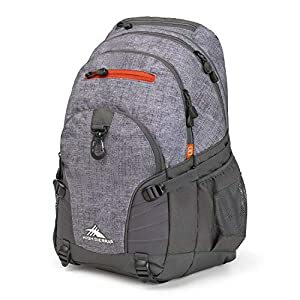 ★ROOMY COMPARTMENT – This travel laptop backpack approximate dimension is 17.71″H x 11.81″W x 3.93″T,Laptop compartment fits up to 15.6″,holding your laptop(can hold laptop up to 17-inch in main compartment),tablet,Macbook Air/Pro,ipad,phone,pen,notebook,wallet,umbrella,books,folders,and other things as many as possible. 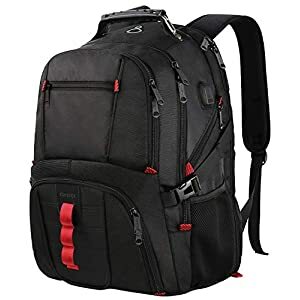 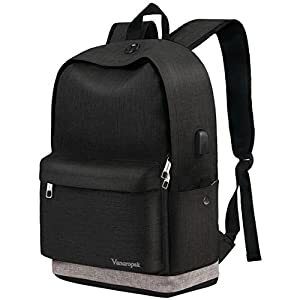 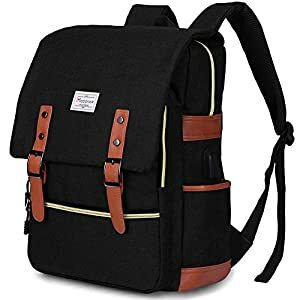 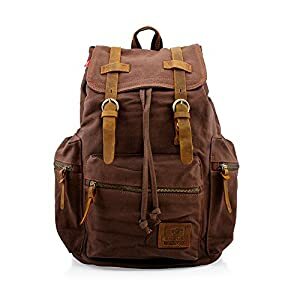 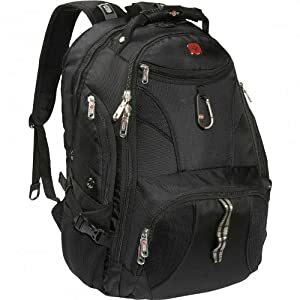 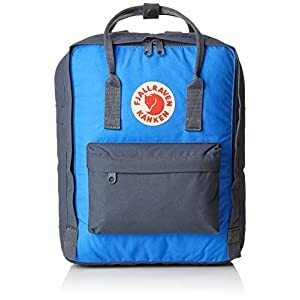 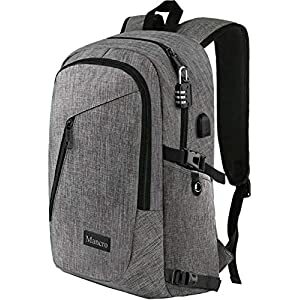 SIZE – This Laptop Backpack measures 22″H x 12″L x 7″W, Capacity: 35L, It can hold up to 17 Inch Laptop with dedicated Laptop sleeve in main compartment against from bumps and falls. 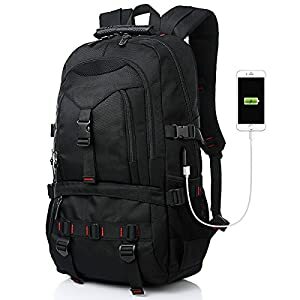 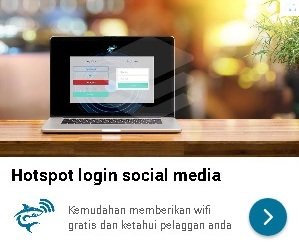 It also has a USB charging port so you can easy and quick charge any of your devices so your gadgets will never run out of battery. 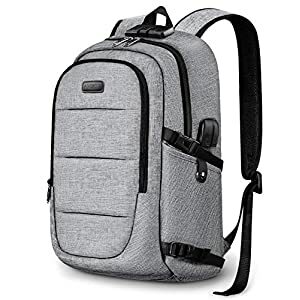 EASY TO ORGANIZE YOUR BELONGS – 4 zipper pockets, 2 sides mesh pockets, 1 laptop sleeve, 2 small inner pockets and 2 pen loops, provides a separated space for your Laptop, textbooks, magazines, iPhone, iPad, pen, keys, wallet, books, clothes, bottle and more. 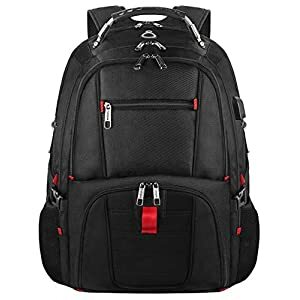 TOP QUALITY WATER RESISTANT LAPTOP BACKPACK – Our Backpack is made of heavy duty and water resistant oxford fabric, ultra-durable and sturdy. 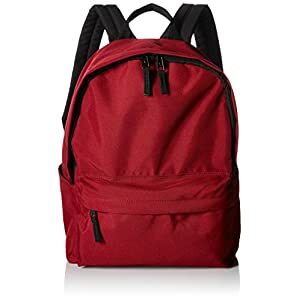 The lining is water-resistant polyester which keeps your items dry.